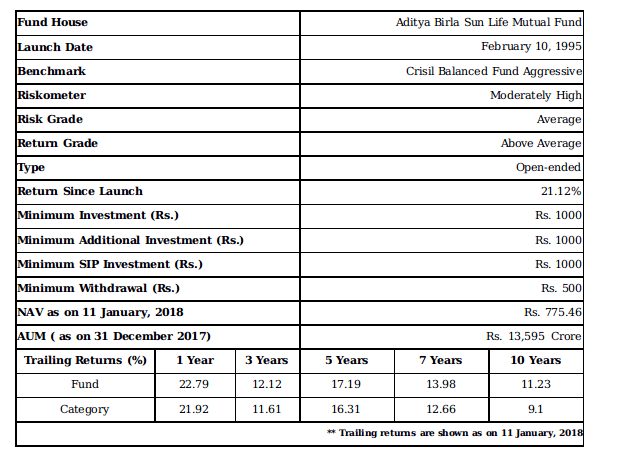 Check these best balanced mutual funds that can help you attaining both value and growth in the long term. Balanced funds are the starter for almost all the investors who debut themselves in the world of mutual fund investments. Many existing investors also rely on balanced funds more than other categories because of their feature of providing benefits of both the other major categories in one investments. To fetch the benefits of equity and attain growth in capital, one needs to invest in the equity mutual funds, whereas to reap income while playing safe on investment, the best choice is investing in debt funds. But, when you want to acquire both the benefits of growth and value, possibly you should have to invest in minimum two schemes of which one should be equity and the other be debt category. But no! Balanced funds category is helping millions of investors in this case. It allows you to attain a blend of both value and growth by investing only in one scheme of this category. In short, you can target to attain multiple benefits from one shot of investment. But, precisely, it provides you with a stable approach in traveling the path of wealth creation. Such that, the investors who have dream to create wealth but do not have the guts to go aggressive in investments, balanced funds are the honeydew for them. 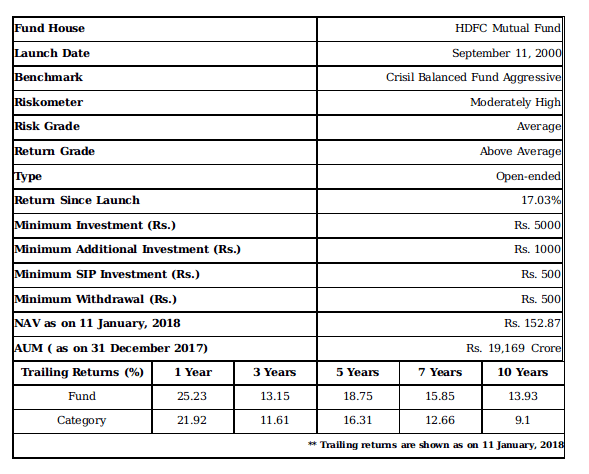 The above-mentioned three schemes of balanced category are among the best performers and under the experts’ recommendation. If you find any of these schemes matching to that of your investment objectives, then you too can plan to invest in them. For more detailed analysis, you must consult your financial advisor. And if you want to check more of the balanced fund schemes, then you can go through the best of the top AMCs in India at our portal, i.e., MySIPonline. So, take your call at the earliest to reap the benefits of early investment in mutual funds.